Led by lodge guides Elijah Marika and Daniel Kasaine, ol Donyo Lodge’s Great Plains Young Explorers program, is designed to enhance both a child and a family’s overall safari, weaving themes of conservation and culture into each fun activity with the intention of giving children tangible examples and moments to bring back to their peer group. The future of conservation is, after all, in the hands of these young ambassadors. Ol Donyo Lodge is the consummate family safari destination; hosting children aged 5 to 15 and modifying the level of activities according to age. BIKE RIDE ON THE PLAINS: Safari Cyling! Cycle across the plains among animals such as giraffes, zebra and impala. PAINTING: Picasso Painting! Paint on canvas and easel in ‘the hide’ with wildlife and Mt. Kilimanjaro as the inspiration. MAASAI BEADING: Bush Beading! Bead traditional Maasai bracelets and necklaces with the Maasai ladies at the nearby village while learning the cultural relevance of the beautiful artwork. KITE FLYING: Let’s go fly a kite!! The plains in front of ol Donyo were meant for this fun activity. ANIMAL TRACKING: Hiking the Chyulu Hills! The volcanic soil provides the perfect medium for tracking. Hike with a guide to discover what’s been sniffing around. BUSH SURVIVAL SKILLS COURSE: The Warrior Way! Living and thriving in the bush is no intuitive task for a city kid. Learn the Maasai’s traditional livelihood techniques, from fire starting, shelter making, cooking, catching water to making bows and arrows. LIVING LIKE A WARRIOR: Putting survival skills to the test! After the in depth training and completion of the Bush Survival Skills Course, try it all out including the opportunity to sleep out in the bush whether it be on top of the kopjes, at our local tree house or in pop tents on the crater. DANCE LIKE A WARRIOR: How high can you jump? Time to learn the impressive ceremonial traditions of the young Maasai. What is the meaning behind their formidable jumping, the reason behind the traditional dress and the celebration that accompanies both? SCHOOL FOR A DAY: Don’t worry, there’s no homework! Ever wondered what it might be like to attend school in Africa? Here’s a chance to visit with local kids, and even maybe a pick up soccer match. On arrival each child will receive a Great Plains Young Explorers pack complete with animal tracking tools, Swahili vocabulary, puzzles and coloring books. Upon completion of the programme, children will receive a badge and certificate. (subject to change based on kid’s ages and impromptu opportunities). Everything is flexible so this merely a concept itinerary. Arrive at ol Donyo Lodge greeted by the Great Plains Young Explorers guide Elijah or Daniel who will welcome the children to ‘the hide’ for juice and cookies and excite them for embarking on the Great Plains Young Explorers program. Each child will receive their Great Plains Young Explorers pack, filled with fun tasks and projects. It’s time for a hike! Let’s stretch those travel legs with an introductory bush walk designed to softly introduce the Young Explorers to the area around the lodge and begin to look for spoor and wildlife. It’s time to SPLASH in the pool and cool off whilst watching the elephants congregating at the watering hole below. And walks down to the log-pile hide to get, safely, a bit closer. Introductory game drive/horseback/walk with parents where children have a head start on the parents and show off some of the knowledge learned in the morning. After breakfast kids are offered the chance to take part in a half-day bush survival course, taking them through skills and knowledge required for living in the bush. Under careful and safe tutelage from the guides, kids are taught to make shelter, fire, bows & arrows from all local materials. They also try their hand at Maasai spear throwing for prizes. The Young Explorers must then use their new fire making skills for tea and snack, boiling the water and toasting the bread on their own fire. (Kids who do not wish to take part in this can also join their parents on their safari activity). The plains in front of the lodge are just begging for kites. Let’s go out there among the giraffe and fly a kite. Or, for those interested in soccer instead, we head to the airstrip for some practice with the staff. The Young Explorers once again show off their new talents on mountain bike/walk/horseback or game drive. For the Boys- The Young Explorers go to meet the locals and head to a local Maasai village to meet with the warriors. Here, they will learn the traditions and their relevance, including their impressive jumping, and beautiful attire. For the Girls- The Young Explorers join up with the Maasai ladies to bead traditional jewelry, learning its cultural significance. Elijah and/or Daniel join the Young Explorers down at the log-pile hide for some inspirational time painting the elephant (and other wildlife) and hopefully Mt. Kilimanjaro. This take-home piece will be a constant reminder back home of the beauty and experience at ol Donyo Lodge. The grand finale! Having nearly successfully completed the Great Plains Young Explorers course, it’s time for a bit of a celebration. 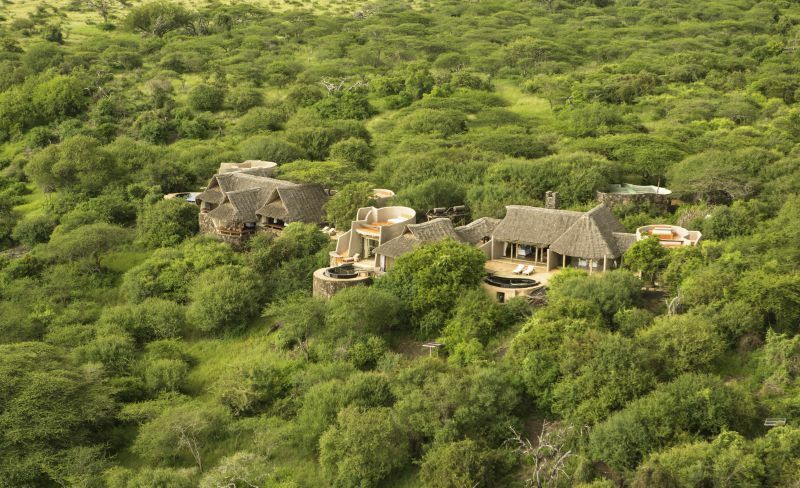 Horse riding with the family (or walk or game drive) to the tree house, where families will be met by Maasai warriors for sundowners, an early bush dinner and bush fire. Impromptu stories will be exchanged, and Young Explorers will show their new Maasai jumping dance and give beaded jewelry to their parents. Here, Elijah and Daniel will present each Young Explorer with his/her badge and certificate for completing the Great Plains Young Explorers program.